Josef Seibel Strobel 75721 women's casual lace up shoe. Soft leather uppers and leather linings provide comfort whilst helping feet to breathe. Great for those who wear orthotics as the H fitting provides width while the removable leather insole adds depth to the shoe if needed. The lace fastening allows for adjustability and a secure fit while wearing. It's lightweight ,flexible but highly durable TR outersole makes it perfect for everyday summer wear. 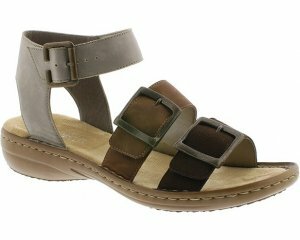 Ideal for those ladies who are active as well as fashion conscious, Josef Seibel Strobel will add a sporty look to any outfit.